Let Corsair deck you out with some of the coolest gaming gear in our latest competition. One lucky reader will win a four-piece upgrade that is sure to improve their gaming experience. 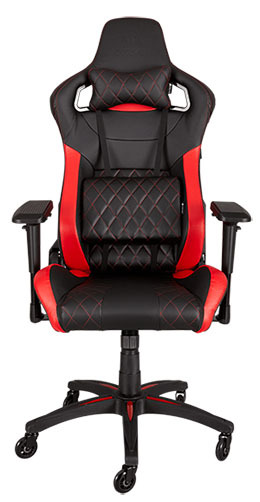 First off, sit back and relax in the T1 Race chair (£290), then put your hands on some lovely peripherals in the form of the K95 RGB Platinum keyboard (£195), Glaive RGB mouse (£70), and MM800 Polaris mouse mat (£60). The competition winner will be picked at random from all eligible entries that arrive by 22:00 GMT on the closing date, August 18, 2017. The winner will be notified via email by August 25, 2017. The winner must claim their prize within 7 days of the promoter sending notification. If the prize is unclaimed after this time, HEXUS reserves the right to offer the unclaimed prize to a substitute winner selected in accordance with these rules. 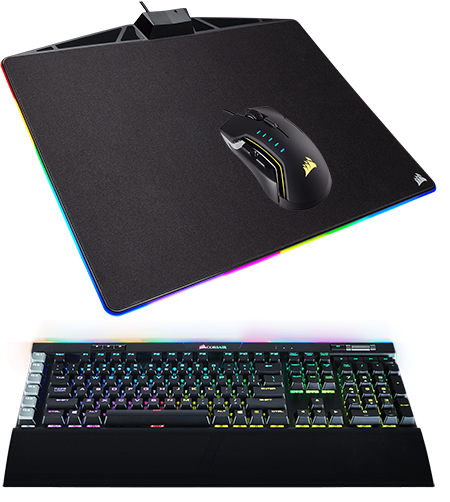 The prize is a Corsair T1 Race Chair, K95 RGB Platinum Keyboard, Glaive RGB Optical Mouse, and MM800 RGB Polaris mouse pad.